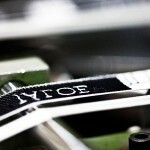 Woven labels are made by either Needle loom or Broad loom. The main difference is the quality in the edges. Needle loom label has tie-knot edges and broad loom label has heat-cut edges. Ribbon come out from needle loom then cut into label pieces. Fabric come out from broad loom then cut into ribbons and labels by using heat knife. This type of option is relatively uncommon because of the price and the higher minimum quantity requirements. 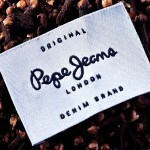 “Woven edge” option—this is recommended for extremely small labels of smaller than 0.5″ in height.